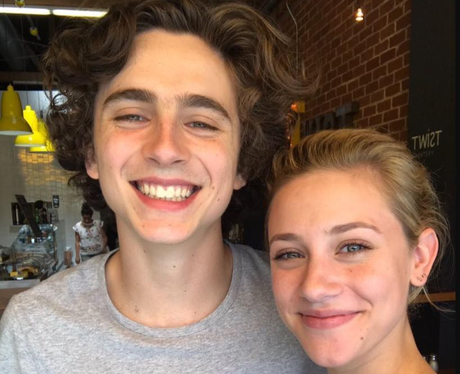 Timothée also appeared in a film with Lili Reinhart. 9. Timothée also appeared in a film with Lili Reinhart. Timothée starred opposite the Riverdale actress in Miss Stevens (2016), a comedy focused on a teacher who chaperones a group of high schoolers to a state drama competition. The film had its world premiere at SXSW on March 2016 and received praise from critics, holding a 89% approval rating from critics. However, the film only had a limited release in cinemas. It's now available on-demand.